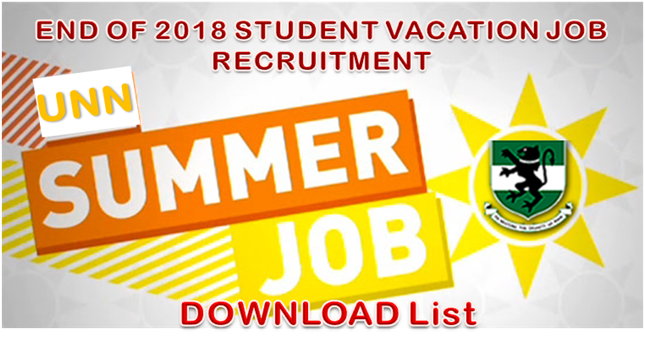 This is to bring to the attention of the University Community and to our numerous students in particular that the recruitment exercise for the 2018 Students Vacation Job Placement has ended. It may interest you to note that, we received over five thousand (5,000) applications from both undergraduates and post-graduate students in the three campuses of the University for the 350 spaces approved by the Vice Chancellor. The Final list of successful applicants has been published on the University Website.